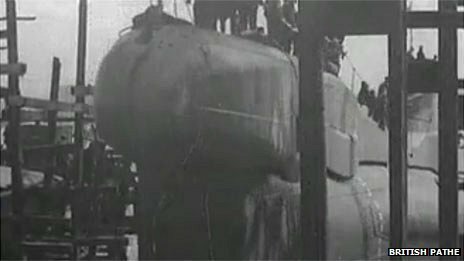 The 75th anniversary of the sinking of a submarine with the loss of 99 lives has been marked. 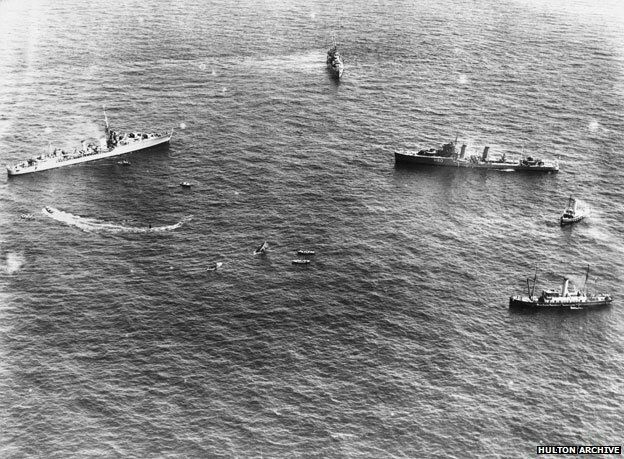 On Sunday wreaths were dropped into the sea off Llandudno to remember the Royal Navy’s worst peacetime tragedy in 1939 involving the HMS Thetis. A memorial was also unveiled in Birkenhead with the names of all those who died. An accident happened during sea trials for the new vessel which had sailed from Wirral. There were 103 men on board on 1 June 1939, twice the usual number, with the Royal Navy crew swelled by engineers from ship builders Cammell Laird. Due to a combination of unfortunate circumstances, sea water flooded in and the boat nosedived and was unable to resurface. Because the boat was crowded and air in shorter supply, time was of the essence but the rescue operation was hampered by delays and communication problems. The men were left fighting rising levels of carbon dioxide, 12 miles off the Great Orme. Derek Arnold’s father Walter was a stoker on board and one of just four survivors. He was experienced and had been well drilled in what to do during an emergency and eventually escaped through a hatch. “He was there overnight and was rescued by a ship,” said Mr Arnold. “What was worse for him personally was how he was treated afterwards. The wreath-laying by the Llandudno and Moelfre lifeboat crew was at the accident spot. “As lifeboat crew we are all aware of the power of the sea,” said Rod Pace, Moelfre RNLI operations manager. At 13:40 BST, the exact time the Thetis signalled her intentions to start the trials, both lifeboats lay wreaths to remember the 99 men. Mr Arnold has been the instigator of the memorial for Birkenhead on the River Walkway. It carries the details of those lost and the few who survived. “It happened three months before World War II – the Thetis actually grounded on Anglesey on the day war was declared,” said Mr Arnold. “So after the war ended and the loss of life, it became forgotten about. This entry was posted in UK Submarines and tagged HMS Thetis, Submarine on June 2, 2014 by jasonlockley.